We, the double masters students, joined an orientation week for new students at ESSEC. 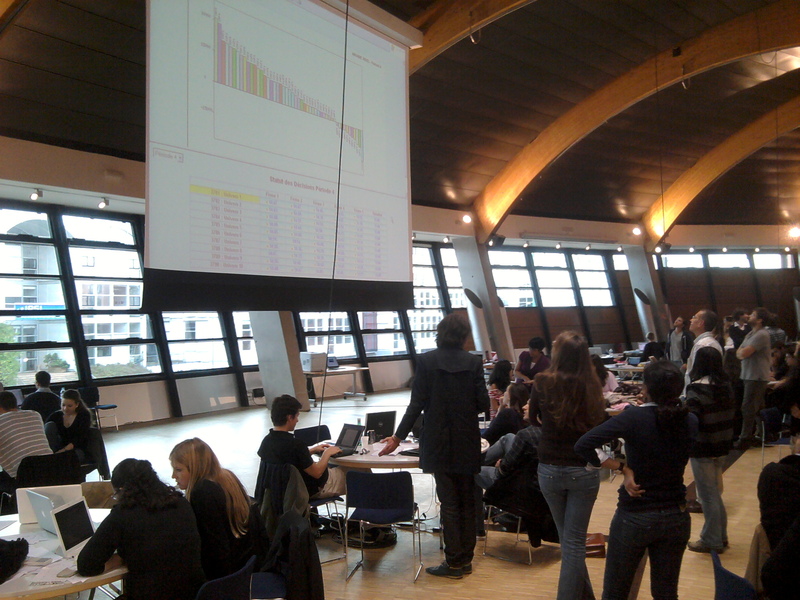 At the end of the orientation week, we played a business simulation game, called “Ariane Game”. There were roughly 250 participants in this game where we were all divided into 10 universes, each universe having 5 groups. In groups of 5, the students would manage a ‘company’ that sells ski and racket products to compete with the 4 other companies within the same universe. To motivate us, ESSEC gave out prizes for the winner of each universe and for the winner of a specific category, e.g. best presentation, best forecast, etc. To make the game a little bit more challenging, we could sell 3 types of products: ski elite, ski 2000 and racket. The qualities of the ski elite and the racket were fixed while we had freedom to define our own ski 2000 quality. Of course, this complicated the pricing strategy. Furthermore, the interest rate for financing the company may change along the way when the demand for financing increases. The ‘scariest’ moment of the game as results were being announced! My team consisted of 2 other new ESSEC students, one from a double masters student from Mannheim University, and the other member, a double masters student from The NANYANG MBA as well. In our first meeting, I proposed to formulate a broad objective while focusing on our individual roles. We decided to adopt the low-cost strategy and divided the company into 3 main parts: Marketing, Production and Financing. Since I am pursuing my MBA with a specialization in Finance, I took on the finance role. Leveraging my computing skills and knowledge that I gained from The NANYANG MBA, I constructed an Excel spreadsheet to ease the financing decision. This allowed us to foresee 4 periods ahead of us. As a result, we were able to forecast our cash inflow and outflow with around 1-2% error and to generate sustainable profit. We ended up being the second highest gainer in our universe. Fortunately, impressed by our management capability, the judges chose us to be the winner of our universe. Additionally, we won the “Best Financial Forecast” title as well! From this game, I learned that everyone in the same company must go toward the same goal. To do so, everyone in the company must think of themselves as being in a team. They must trust each other and contribute the best they can for the team. No one should regret the mistakes they made, instead, learn from them and move forward. I also learned that forecasting sales is difficult and making financing decisions play a major role within a company. Some firms were bailed out, while some others went bankrupt. What I also realized from this game is, without a good understanding of Cost Accounting, a company may overstate or understate its profitability, or worse it may end up in losses. Cost Accounting also provides guidance for a company’s production department to realize that it increases unitary cost if the department cuts down its production. I feel very fortunate to have this opportunity to come to ESSEC and to experience this game, and I personally wish that my colleagues in The NANYANG MBA can participate in similar business simulations or case competitions as well. It will not only give them the necessary experiences in a business environment but also make them apply all that they have learned from The NANYANG MBA. I cannot imagine how I was a Computer Engineer when I first entered The NANYANG MBA, but by now, I can really see the progress I am making and I look forward to the day when I will run my own company very soon in the future. Why the NTU-ESSEC Double Masters Programme? I chose the NTU-ESSEC Double Masters programme because it equipped me with knowledge of both the Asian and European business environments. faculty further provided me with opportunities to network with and establish lasting friendships which I will always treasure. Another great aspect about The Nanyang MBA is its flexibility. As a full-time participant, I was able to offer courses conducted in the evenings together with part-time participants, who were from various industries. I also had the opportunity to participate in the John Molson competition in Canada with three of my classmates. 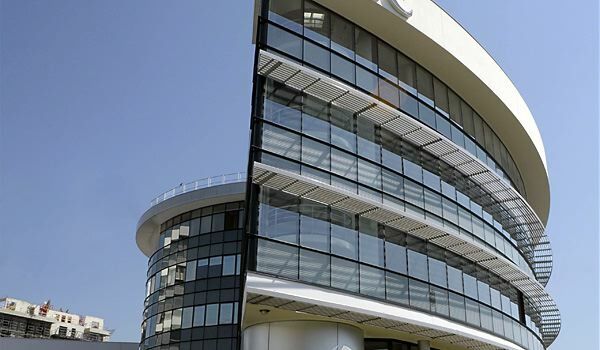 My second year was at ESSEC Business School in Paris where I had the opportunity to understand how European businesses were built, grown and flourished. I offered courses in luxury marketing amongst others. Lectures were conducted by professionals from leading global companies. The practical knowledge and insights learnt were invaluable and useful for my future career. I was also fortunate enough to be offered an internship at the head office of one of the leading French hospitality companies just three months into the programme. Joining The Nanyang MBA has been one of the best decisions I have made in my professional career. The knowledge and experience gained is invaluable and will certainly give a big boost to my career at the global level. I arrived at St.Gallen on a snowy night in February. 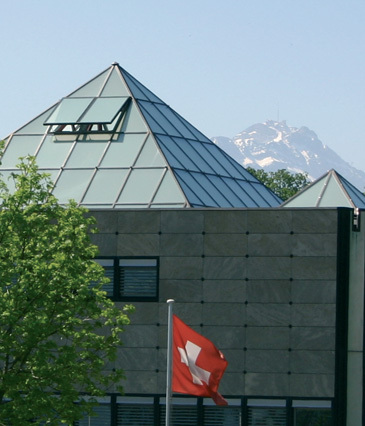 The University of St.Gallen (UniSG) is one of the best European management schools. Memories of group works, student parties and travelling were some highlights of my stay there. 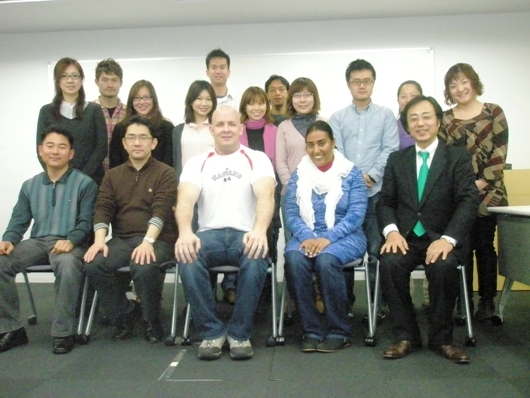 I met and worked with many high caliber students from Europe as well as all over the world. The professors were well-known academics and practitioners in their various fields and could therefore, share from both academic and industry perspectives. There were also many industry-linked workshops and events where top executives from well-known private and public organizations were invited to share their knowledge and experiences. hassle of scheduling. I also had opportunities to mingle with students from other programmes. The traditional SIM Regulars’ Table (RT), wine tasting events and house parties were activities that enhanced my student life in St.Gallen. I also gained cultural knowledge while travelling across Europe and visiting countries such as Hungary, Spain, Benelux (Belgium, Netherlands and Luxemburg), and Italy. I am amazed by the rich historical and cultural background. Overall, my decision to pursue this double master programme is one of the best decisions I have made in my life as I have been tremendously enriched by the programme and the time spent in St.Gallen, Switzerland.